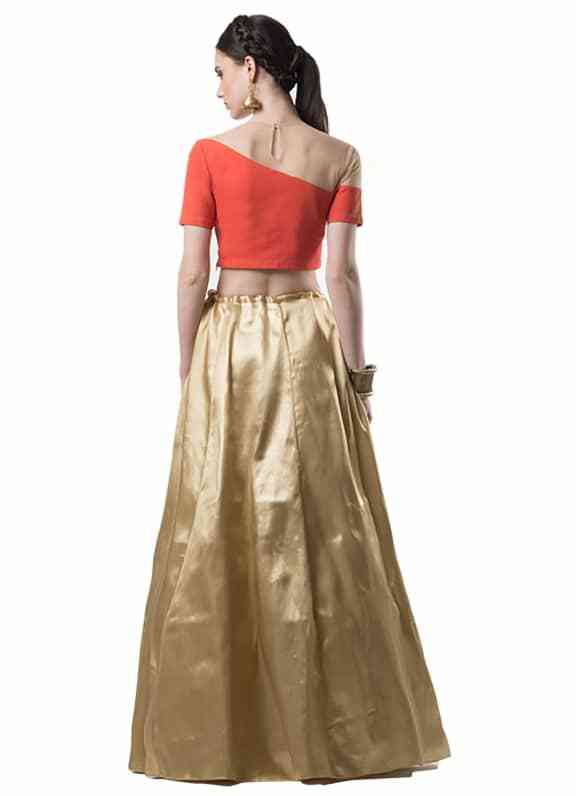 This cotton and net top has floral thread and sequins embroidery and is paired with a plain gold silk skirt. 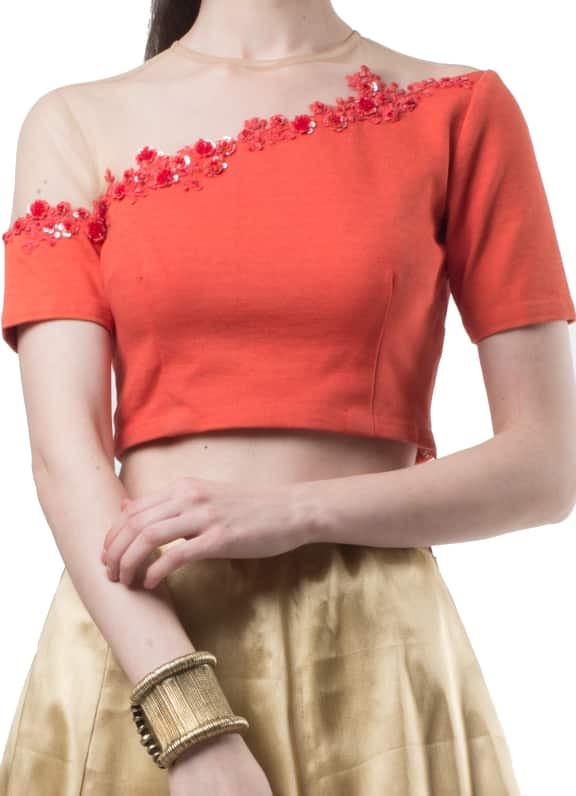 Light, fun and super cute, this ensemble is perfect for cocktail parties or mehendi. 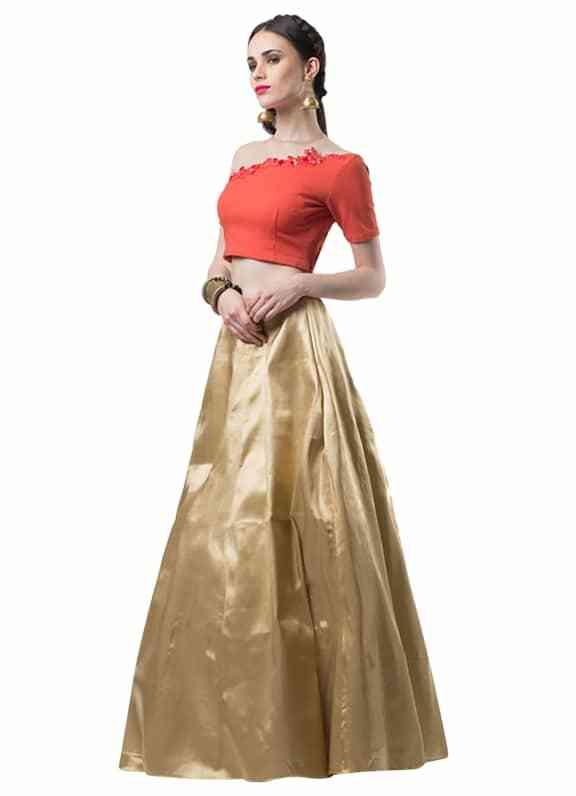 The net and cotton coral top with delicate embroidery is matched perfectly with a gold skirt. 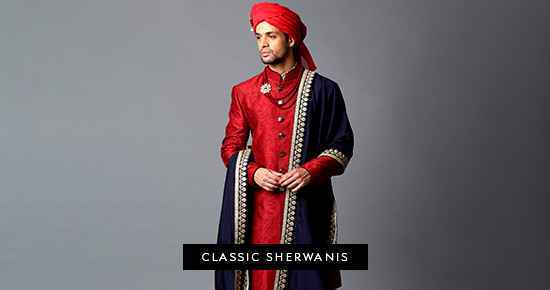 Dress the look with a tribal bracelet and gold earrings by Amethyst.